Get ready to party with Punches! Inspired by the bright fruit flavors and tropical spices of the French Caribbean, this festive little volume will change the way you mix cocktails to beat the heat this summer…and will help you ring in the winter holiday season in style! These big-batch beverages are perfect for entertaining and the flavors are lively, bold, and oh-so-memorable. 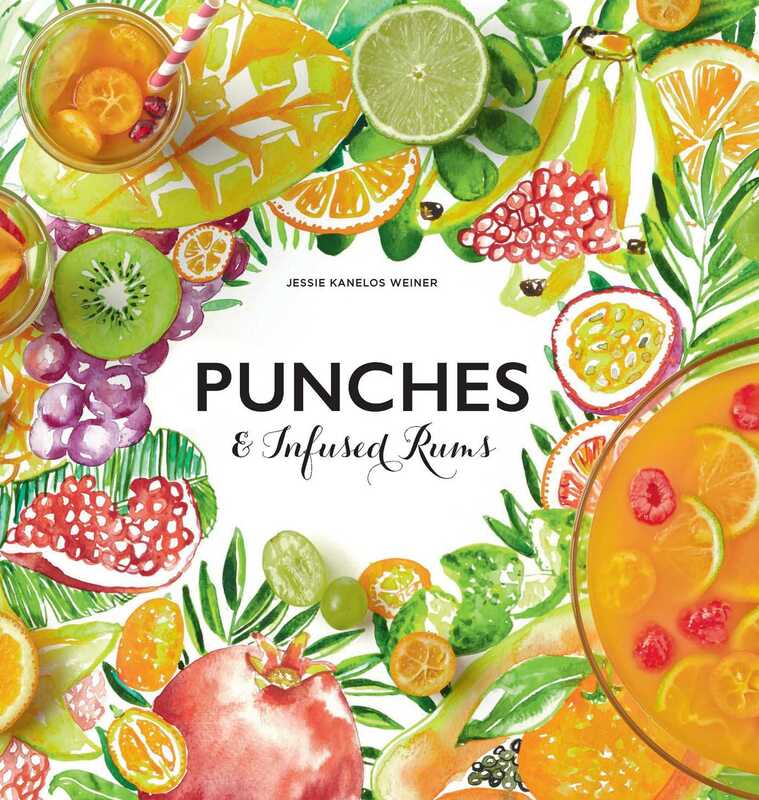 Choose among 30 recipes for punch and infused rum, complete with cocktail-flavored finger foods to accompany them. This sweet tome is rounded out with illustration-photographs that delicately bridge the line between reality to fantasy. Put the pomegranate seeds in the bottom of a ring mold. Cover with ice cubes to keep the seeds at the bottom of the mold, then fill with water. Place in the freezer for at least 6 hours. In a serving bowl, combine the orange juice, cranberry juice, and tequila. Slice the oranges, cut them into pieces, then add to the tequila mixture. Chill for at least 2 hours. Pour a little hot water onto the ring mold to release the ring of ice, then place it in the serving bowl with the tequila mixture. Serve.